I’m not a food blogger. If you are looking for some original, inspiring cupcake recipe with amazing decoration you have come to the wrong place. If however, you are a busy parent, who has a school with a love for cake sales then stick with me. I do quite a bit of cooking, but mainly to sustain my family or to bake for a cake sale. Definitely not for any love or passion for it. I did actually go to what was the Faculty of Tourism and Food in DIT, Cathal Brugha Street in Dublin. I did own a pair of chefs checks for our food preparation classes but that was many moons ago and in pursuit of a degree in hotel management – we left the complex stuff to the trainee chefs. 2. Make something really quick and easy. Given I am now on a career break I kind of feel like I should make something. I mean I see it as part of my job description. One of those “All other duties as required from time to time” kind of tasks. There are currently only two items in my repertoire for a cake sale. Cupcakes or scones. Scones are a bit boring but are super quick (I’ll share my super quick scones in the future). Cupcakes, however, are what the kids expect! I have to say that over the past year and a number of cake sales later my cupcakes are improving. Last week I had to make two batches of cupcakes – a half-dozen for the boys’ school and a half-dozen for the girls’ school. My usual course of action is to Google a cupcake recipe from the internet. 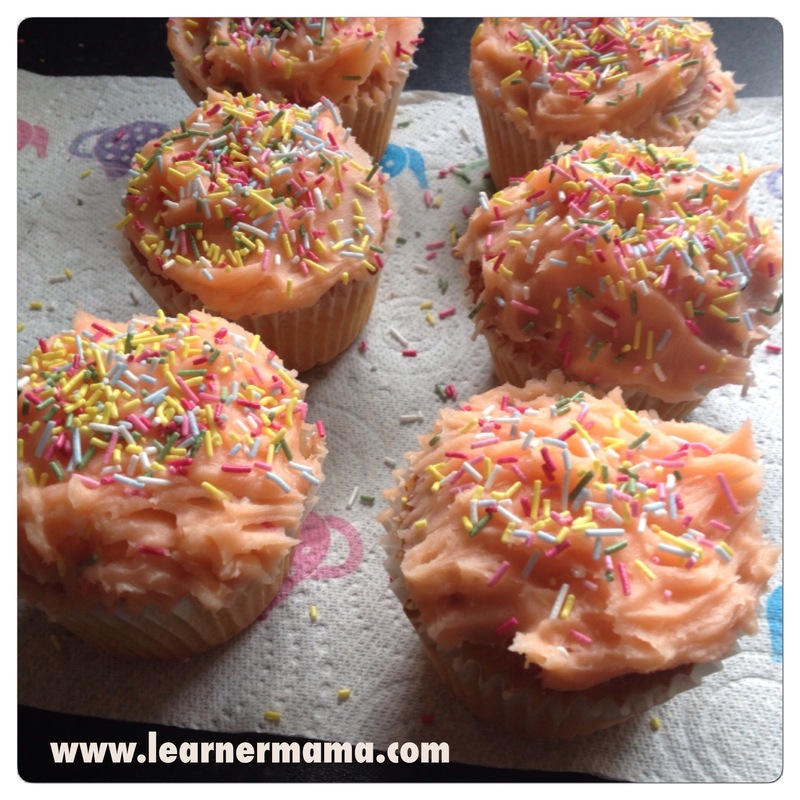 My usual one is Donal Skehan’s basic cupcake recipe however for some reason my last Google search brought me to the Odlums website where I found their cupcake recipe. I was all set and ready to double all the ingredients. I poured in the flour and then the sugar. I then decided to read the method. 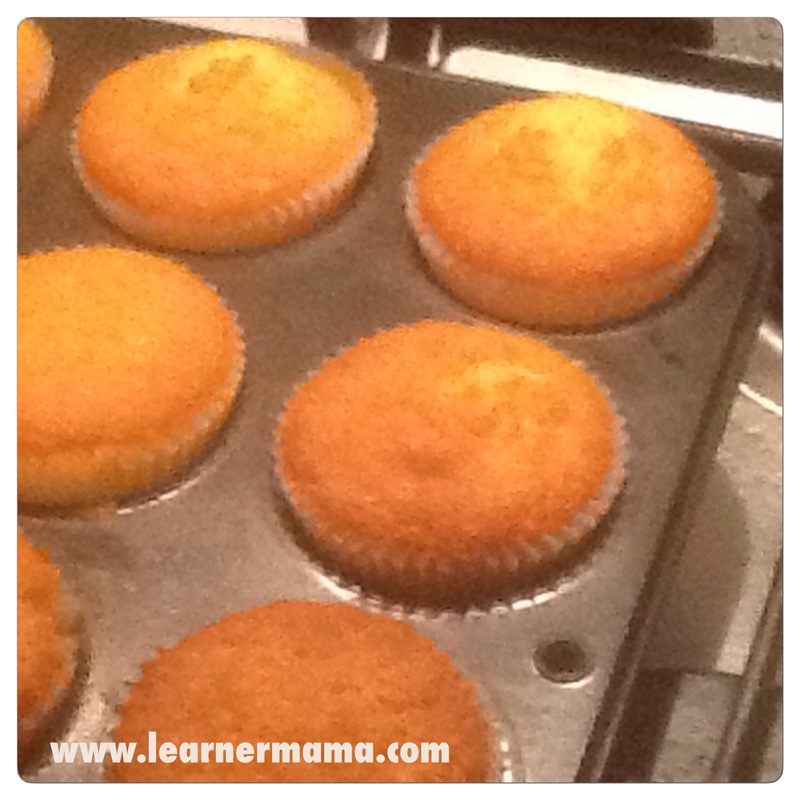 The first instruction was to pre-heat the oven and line the cupcake tray with cases. Check. The second (and first food related instruction) was to beat the butter and sugar together. I stared in dismay at my flour and sugar mix. It was late. I didn’t have time or ingredients to be starting again so I improvised. I melted the butter and then poured every remaining ingredient into my bowl and, once everything was in, mixed it like hell. Done. I poured the mixture into a dozen cupcake cases and baked them in the oven. I decorated them with butter icing and hundreds and thousands. My butter icing was another slight variation. I again melted the butter and just poured in icing sugar and red food colouring (which resulted in pink icing). With no piping bag, I spooned the icing over the cupcakes and sprinkled with hundreds and thousands. Some minor grumbling about pink cupcakes in the boys’ school but it was job done. Next articleSome booze, a boogie, oh! and some blog awards!